Virginia’s Lemon Law Also Applies to Leased Vehicles | The Consumer Law Group, P.C. Many people these days choose to lease new cars instead of buying them. On a lease program, you may have a lower—or no—down payment and your monthly payments may be lower than on a loan for a new car. Also, you can turn your lease in after two years and start over with a new car. Another major advantage of leasing a car is that you are always under the manufacturer’s warranty for repairs. However, leased cars can have persistent mechanical problems just like a purchased new car. Fortunately, in Virginia, your leased car is covered under the Lemon Law. How Does the Lemon Law Apply to a Leased Car? Just like with a purchased car, a leased car that has an ongoing or unfixable mechanical problem or safety issue can be returned to the dealer or manufacturer. Whether the vehicle qualifies as a lemon is determined by the number of repair attempts made to correct the problem. For mechanical defects, if the car has been repaired for the same defect three times over an 18-month period, it could be considered a lemon. For a safety issue, the dealer only has one attempt to fix the problem. With a purchased car that is a lemon, the manufacturer must either refund the purchase price or replace the vehicle with a comparable model. With a leased car, the manufacturer will pay off the lease and return the lease payment and down payment you made less the mileage deduction. You will have to present evidence of the repair attempts made on your lease vehicle, so keep receipts for every visit to the dealership. You will also have to notify the lease company of the defect and the possibility of a lemon law claim in writing and should also keep a copy of that letter. 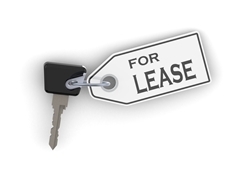 If the lease company accepts your claim, you will be able to cancel your lease with no penalty. If the company disputes your claim, you should contact a lemon law attorney to sue the lease company for a refund. John Cole Gayle, Jr. was a co-author of Virginia’s lemon law. He knows what a strong claim is and whether the defect in your lease car is eligible. Fill out the “Do you have a claim?” form on this page to get started.